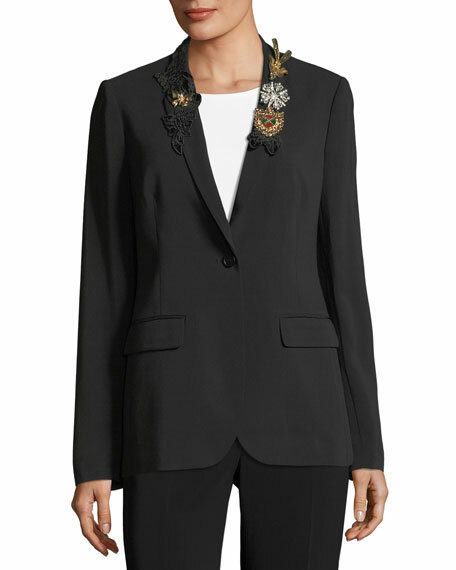 Kobi Halperin x Erte "Anabella" embellished blazer jacket. 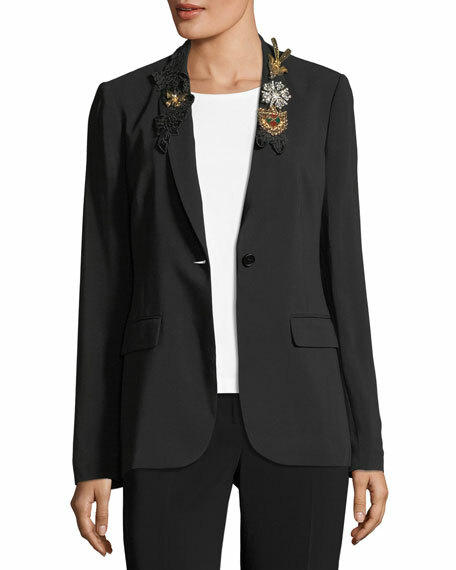 Mixed embroidered patches and brooches trim collar. 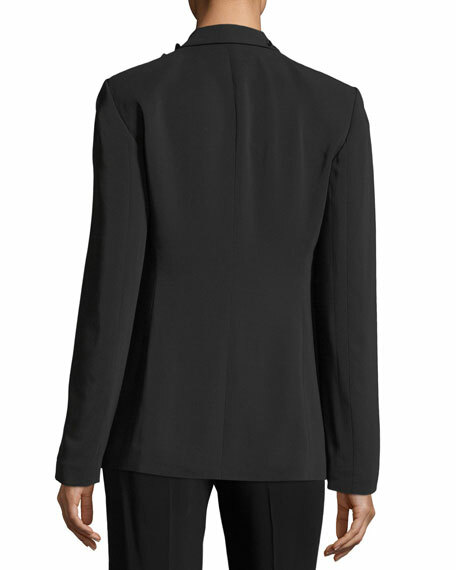 Kobi Halperin: Kobi Halperin steps into the forefront and introduces his namesake collection for Fall 2015. Halperin's women's sportswear line brings to the market a collection that is rich in luxurious textiles and beautiful embellishments. The full-line collection is skewed towards emotional novelty pieces constructed with silk, drapey twills, furs, leather, lace, jersey, and exclusive prints. For in-store inquiries, use sku #2277777.